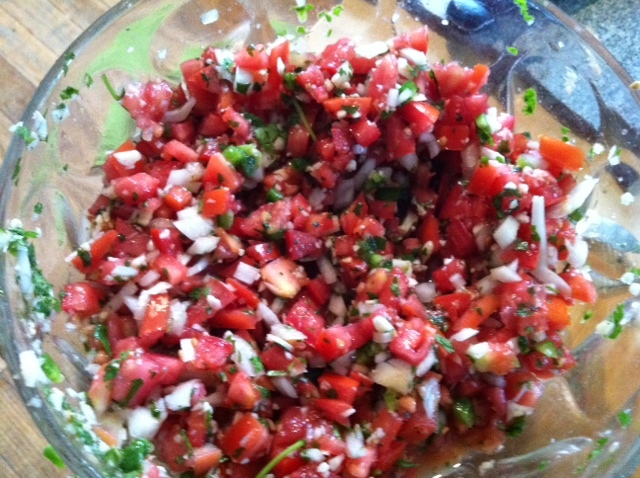 I like to make fresh salsa daily, especially with certain meals. I’m always looking to add a little more to my meals and love cold spicy and fresh salsa. I like it spicy so I will add fresh jalapenos and some spice to the mix. It’s these things that make my salsa different every time. Yum! Add this salsa to avocados to make a chunky guacamole. Add sour cream to that to make a smooth and creamy guacamole.